I remember some years ago, we had a meeting that was above other meetings. The Spirit of God was talking through my left ear and as I was hearing what He was saying, I was just repeating it. In the back of the room where we were gathered, three or four men appeared dressed in ancient garments. They were saying one to another, “This is it! This is it!” They were so excited about the Word that was coming forth! On another occasion, a brother in the Lord was telling me what happened to him on one of his mission trips oversees. The Spirit of God came down at their meetings and you could feel the nearness of the saints. They were saying how much they would love to be alive at this time and be part of this church. The Bible says that the prophets and all men of the past wanted to know the things that God saved for the last time and He wouldn’t tell them. (See 1 Peter 1:10.) He had a reason why He would not tell them. You see, if you know something that you cannot walk in, it becomes a torment to you. And then you try to do something about it and you do the wrong thing. So God did not tell them. But the other day, the Word came to me, which said, “This is the end game.” God breaks the thing little by little by little. The people of this dispensation will get a breaking of the bread that Paul and Peter never had! There is a flowing that is coming from the heavenlies. It is flowing through us and when it comes out of us, the heavenlies are receiving something they never had before. We are being ministered to by the Spirit of God and the brethren, the church, is learning from us. We have come to the time, when the saints are ready to be with us. Not that they were not with us before, because the Lord told us long ago that they have to come to our meetings in order to learn the revelation of the Spirit. In I Peter 1:12 it says that the angels desire to look into these matters. It means that Peter must have had some experience with the angels. When Jesus Christ was on the mount of transfiguration, Moses and Elijah had to come to Him to find out from Him what was going on. From this we can see that God is not revealing to the angels in heaven the message of the church. They have to learn from us the revelation of what God is doing in our time. As soon as we rise up, we come into a higher frequency, and all of a sudden we are able to see and hear things that we have not seen nor heard before. It is because of your dedication before God, it is because of your concentration, your focus, that God is using you to bring forth His revelation to the saints who went before us. God wants us to have a focus upon His things, so that the daily job we have to do would be only by the way, but the chief focus of life would be upon God and upon His Word. If your focus is such, you will begin to hear the voice of God all day long. Sometimes you will hear the singing; sometimes you will hear the praising; but whatever you will be doing, the Spirit of God will continue to minister to you for 24 hours a day. And when you get up into that realm, you will begin to see the saints. Let me tell you what happened to us not too long ago. I was going to the airport to get on the plane. We had to leave home at about five o’clock in the morning in order to be able to catch the eight o’clock flight. We were driving on a highway doing over seventy miles an hour. Suddenly, it occurred to me that suppose we had an accident and couldn’t make it to the airport in time. At the same time, my wife Mavis, without me telling her anything, said, “Let us pray.” As we prayed, there was a tremor in the steering wheel. I said to myself, “Boy, this is funny. It’s either that the road is bad or my tire.” To make sure, I eased my speed down, got over into the right lane and then, “Boom,” the tire busted and peeled off like a banana. A new tire! The car, of course, lurched, but I held it and took it down quietly. It was a mercy of God that there was no traffic beside us so that we could stop safely. This all means that the angel force warned us beforehand of what was going to happen so that nothing would really happen. However, now we were going to miss the plane. Well, we calmly prayed again. We also called a brother in the Lord who lived about twenty minutes away from where we were and he called another brother who was ten minutes away from us. They both came, one drove us to the airport and the other took care of our car. As we got to the airport, there was a man standing outside, who got ahold of our things and said, “Listen, come with me. If I don’t take you in, you will not catch this plane.” He took us in, but the young lady who was supposed to give us a go ahead, was not very willing to do so. This man put her in her place and said, “I tell you do it right now!” Right through we went being the last people getting onto the plane. I really feel that we must begin to rely more upon God than upon the natural things. I want you to understand that I am not talking about having communion with dead people. (I have been accused many times of dealing with the dead.) I am talking of having communion with the saints who are alive in the heavenlies. The early church knew this principle and that is why they put in the Apostles Creed, “the communion of saints.” Even though it is the Catholic church that talks about it, we should not reject it. We have to begin to recognize the truth. The Catholic church went off in praying to the saints. If you do that, you get into trouble. Therefore, the revelation they had did not profit them because it caused them to go into error. We cannot pray to saints, we cannot contact those who are in the other world. But God will send them as messengers to you and me when we need it. Let us read Hebrews 11:38 and on, “(Of whom the world was not worthy:) they wandered in deserts, and in mountains, and in dens and caves of the earth. And these all, having obtained a good report through faith, received not the promise: God having provided some better thing for us, that they without us should not be made perfect.” They did not receive the promise, they still lacked something. God in His wisdom gave perfection to the Body of Christ. He gave you a little piece and He gave the other individual another little piece. It is like a jigsaw puzzle. However, we have one little piece and we think, “Boy, I’ve got it!” Another person has another little piece and says, “This is mine! I will form a church around it. I will start a denomination around the little piece I have.” Each person is holding onto his own piece. But, suppose one day you come and say, “Sister, let me see how my piece fits in with yours.” When you see it really fits, you say, “Oh! So this really wasn’t what I thought it was! It was a hand!” And another person comes up and puts in his piece and when the whole church comes together, we are going to find out that we had the perfection long ago, but we didn’t know it. 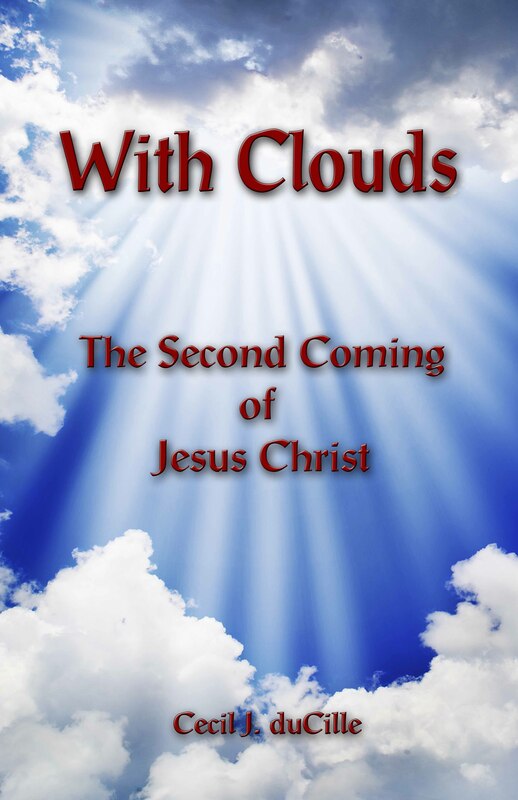 God said that in the dispensation of the fullness of time, He is going to send out the brethren, Peter, Paul, James, John, all the other part of the church which we cannot see, and they are going to send forth energy into the church. Nevertheless, most of us cannot receive it. We are thinking so hard about our problems, we have so many things to do otherwise that we cannot feel the blessing that is being sent. Nobody in the heavenlies has been perfected yet. They died, but they have not been perfected. Hebrews 11:39, “And these all, having obtained a good report through faith, received not the promise: For God has provided some better thing for us, that they without us should not be made perfect.” Why? Because the devil had not been conquered yet. The will of God for the church is that the church should come to a point of being overcomers, that we would overcome the devil, that we would overcome death. Paul didn’t conquer the devil and finish him off. Neither did Peter. None of the brethren in the past did. But God says that the church of the last time will! Therefore, the church that is in the heavenlies has to be waiting on us to finish the job. They started it, they did a good job, they laid the groundwork for us, they gave us the instructions to go on, and they are waiting on us to finish the job.